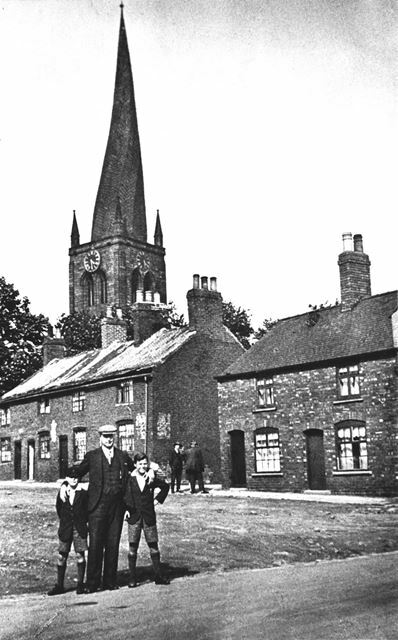 Buildings on the left of the site of Ye Olde Crooked Spire public house (now the Slug and Fiddle). Parish church of St Mary and All Saints (crooked spire) in the background. Taken from St Mary's Gate. See DCCC000061.